Myat Kyawt was born in 1966 in Mandalay, Myanmar. He studied under the artist U Nyo Pyar , U Tin Moc and U Khin Maung Sann. 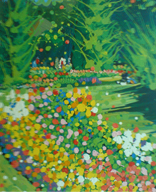 He also attended evening classes in the State School of Fine Arts (Mandalay) in 1989. His technique of dropping acrylic onto canvas reflects a child-like innocence in approach. 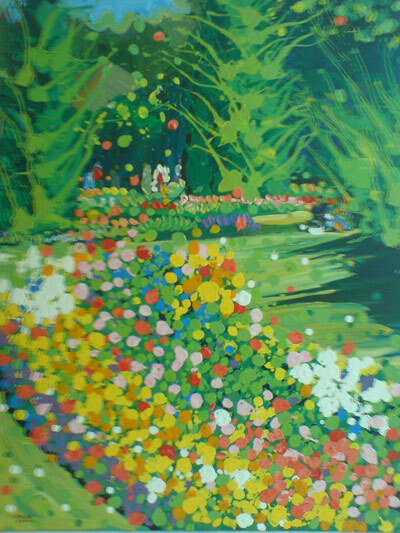 His energetic use of color and his depiction of people and tress further enhance this sense of fantasy. He is one of Myanmar’s active contemporary artist. In 2017, together with a group of patriotic artists, poets and activists, set up an art collective / art movement called Crossing Borders. This was established in the wake of Myanmar’s transitional government; its aim was to give voice to a multigenerational artists on topics ranging from politics to social issues. To date, Myat Kyawt has held more than 15 solo exhibitions and his work has also been auctioned at Christie’s, Hong Kong, as recently as 2018. 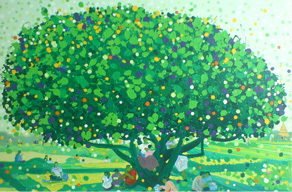 Myat Kyawt’s “Trees” series were very popular, but he continues to challenge himself and push new boundaries in his art. 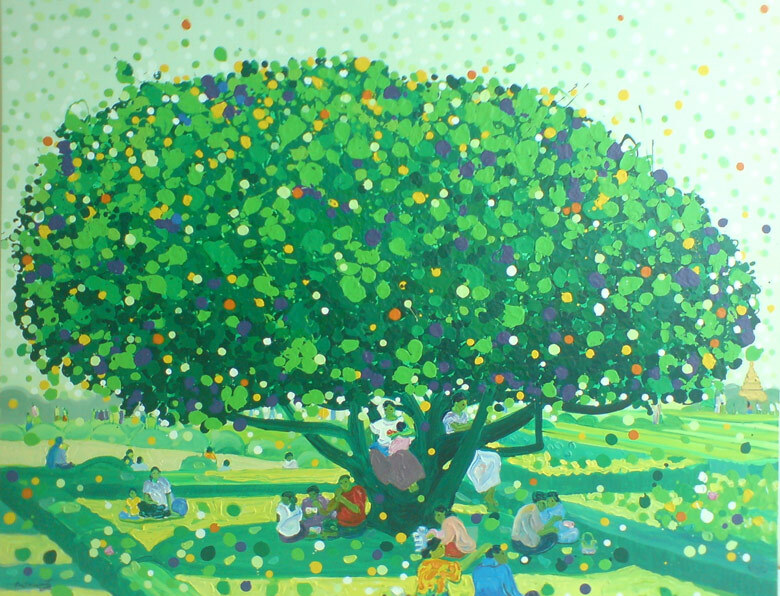 His artworks are collected by public and private companies in Myanmar and Singapore.